Set includes uncut sticker sheet (yes, you will need scissors). You get TWO shoulder gap fillers for left and right shoulder and a sticker set. We Buy Toy Collections! Do you have a collection to sell? Are you wanting to get the most for what you found or don't want any longer? Send us a message now. We will have an offer for you today! No Collection is to large. I am a one man operation. I will be adding many more collectibles,antiques,toys,fishing gear ,rc's and much more in the upcoming weeks and months! This is missing a piece right above his foot on his right leg (see pics) and one gun. Do you have a collection to sell? Are you wanting to get the most for what you found or don't want any longer? Send us a message now. We will have an offer for you today! No Collection is to large. New Transformers Studio Series Voyager Ironhide in stock MISB . Condition is New. Shipped with USPS Priority Mail. Plastic is cracked in top left corner. I took it out of the protective sleeve for the photograph, as the plastic is too reflective to permit a good photo. Condition: Item is sealed and new. Not sure exactly who made this, but looks a lot like the kabaya kits. It is not made by Takara. Any information will be added if anyone seeing this add has any. Thank you. I dont know if he is missing pieces. Up for sell a Worlds Smallest Dinorobots Exclusive Comic Version box set by JustiToys.The box set is in brand new condition and has never been transformed or displayed. The set comes with all weapons, accessories, stickers, instructions, and file cards pictured. This exclusive set featuring the “dinobots” in their comic colors is limited to 300 sets. Please look over the pictures and contact me with any questions. Thanks. Please see full description. Click on the Read More link. Ask all questions prior to bidding. 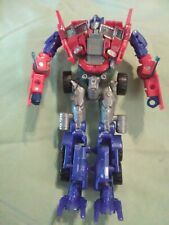 Transformers Optimus Prime Keychain Brand New Sealed Poseable Free Shipping. Condition is New. Shipped with USPS First Class Package. Worst we can do is say no. Office Hours of Operation The sooner, the better. Selling a toy collection? Message me. Condition: Sealed as new the package is pretty nice. Is 6" tall. Not Takara or Hasbro, brand is unknown. I got a lot of these odd ball type soundwave and cassettes in. Selling a toy collection? Message me. Figure Condition: Not sure brand as there is no stamp it is NOT Hasbro or Takara. Some sort of interesting clone, it is not high quality, but I have never seen this one before. Comes as shown. He is factory sealed in the box. The box shows light wear. Are you wanting to get the most for what you found or don't want any longer?. No Collection is to large. Signature Confimation will be required. Condition: Sealed kit with unused sticker sheet. The sealed package looks like a raiden. Not sure exactly who made this, but looks a lot like the kabaya kits. It was not made by Takara. Any information will be added if anyone seeing this add has any. Thank you. Condition: Item is sealed and new. Not sure exactly who made this, but looks a lot like the kabaya kits. It was not made by Takara. Any information will be added if anyone seeing this add has any. Thank you. However, I visually inspect every cube for significant flaws. You will only receive energon cubes that I would be willing to display in my own personal collection. - Energon Cubes. - LED light up kits for Masterpiece Soundwave and KFC Transistor (Blaster). 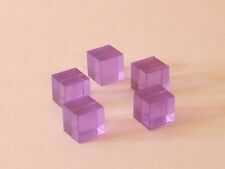 As such, these are probably the smallest Energon cubes on Earth. However, I visually inspect every cube for significant flaws. You will only receive energon cubes that I would be willing to display in my own personal collection. Condition: Looks like pieces to the G2 Megatron or beast wars Megastorm. It is not complete, comes as shown. Not sure exactly who made this but it's not Takara as I understand it. Looks a lot like the kabaya kits. Any information will be added if anyone seeing this add has any. Thank you. 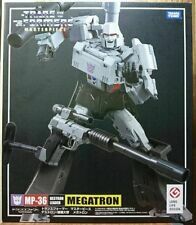 TRANSFORMERS MASTERPIECE MP-36 MEGATRON Action Figure Toys . Condition is Used. Shipped with USPS Priority Mail. Loose not sure if its complete. Looks like its complete but sold as is. Feel free to ask any questions. Free shipping. G1 Pink and Dark Energon Purple---. However, I visually inspect every cube for significant flaws. You will only receive energon cubes that I would be willing to display in my own personal collection. Condition: Snarl figure looks to be missing a leg . Not sure exactly who made this, but looks a lot like the kabaya kits. It was not made by takara. Any information will be added if anyone seeing this add has any. Thank you. TRANSFORMERS G1 WHEELIE CARD AND BUBBLE! BRAND NEW! I can even get. There are no stickers, tape or writing on these. Boxes and cards are made of high-quality glossy cardboard, manuals are all made of thick quality paper, all ink and printing is sharp and will not smudge when touched. Is missing his head also I dont know if he is missing other pieces. However, I visually inspect every cube for significant flaws. You will only receive energon cubes that I would be willing to display in my own personal collection. - Energon Cubes. - Quantity: 5 glow in the dark cubes. 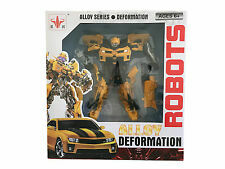 Condition: Looks like a kit for leo convoy. Not sure exactly who made this, but looks a lot like the kabaya kits. It was not made by Takara. Any information will be added if anyone seeing this add has any. Thank you.